Want to let us know about YOUR Roma experience? "The first thing I do, when moving to a new neighborhood, is to find the best pizza spot...THIS IS IT! Real pizza, real people. We've tried about 6 or 8 of the entrees as well at this point & they're all excellent. If you don't like their pizza, it's probably you, not them ;) "
"What a great place to eat & relax, super friendly service and great food, real Mom and Pop Italian restaurant." "This place is amazing. Service right down to the food." "Best pizza by far. I'm from NJ and I couldn't believe the food.They have a customer for life!" "This place is fabulous! It's tucked away, but a must go! Great familiar feel, the staff is friendly and the food tastes homemade and incredible. My husband and I used to always go for the pizza, which is addictive and the best in Port St. Lucie. And then we tied the pasta. My favorite is the gnocchi. I recommend this place to everyone!" "A Hidden Gem in Port Saint Lucie. 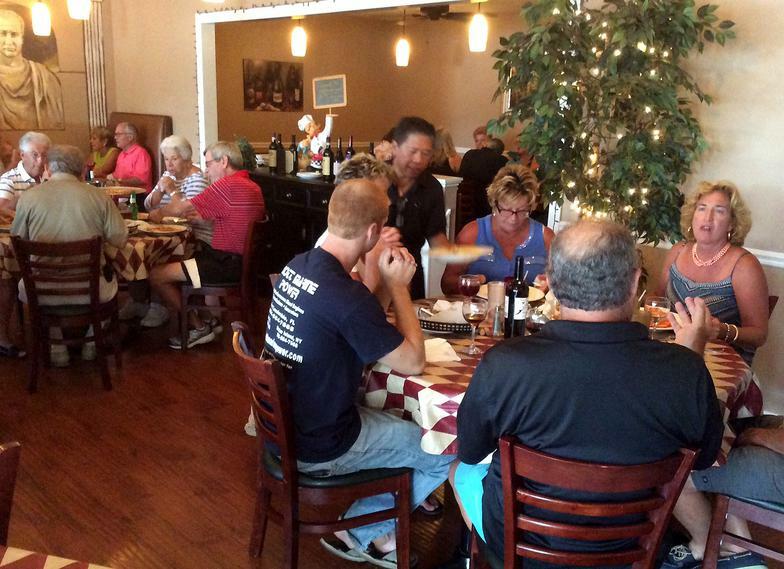 In reality, for the size of the community, Port Saint Lucie has few great dining venues. But Roma Pizza and Restaurant is one of them. Tucked away in a strip center in one of the Treasure Coast's finest neighborhoods, Sandpiper Bay, Roma is a clear standout. Family owned and operated, every bite of this delicious cuisine is prepared with the finest of ingredients and skill. The gracious servers deliver the finest in service. From fresh baked bread to crisp salads to homemade pasta this is the finest in Italian food. Hand crafted daily specials add to this adventure in fine, yet casual dining. Compact, but well thought out wine list is available as well. Open seven days a week. All this and the best pizza as well." "Great mussels and plenty of good Italian food. We use Roma's pizza twice a month with our golf group and everybody absolutely finds everything to their taste." "Always Excellent. Nothig short of excellent, always get there at least once a year when coming down for vacation, and for so many years now. Quality and taste of the pizza, pasta and desserts is always amazing. Love how they cut the sausage on the pizza too. Friendly staff!" 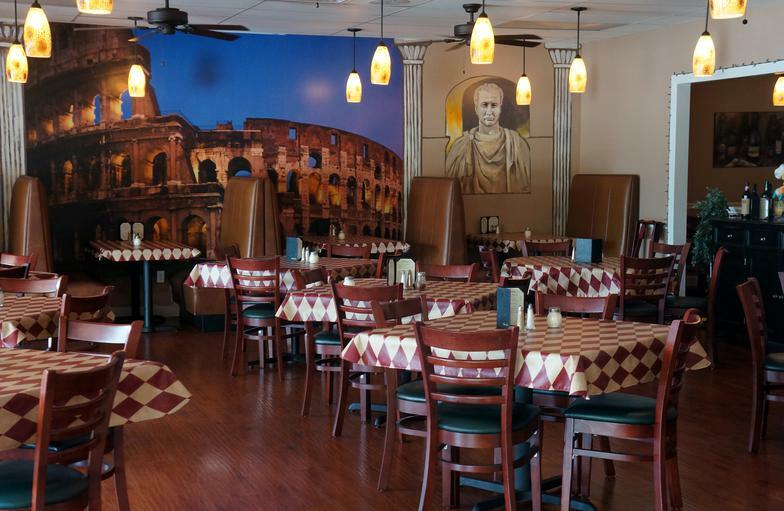 "Best Italian food in the Treasure Coast. My favorite dish is the "Eggplant Rollatini" - delicious...the rest of the menu is good too. The tomato sauce is delicious, the pizza is great...if you want to eat good, you have to go to Roma's. I go there at least once a week." "We have been long time customers. We have gotten the pizza special just about every single Monay for more than 3 years now and we are very glad we found them. Sauce can make or break a restaurant and this place has one of the best tasting sauces we've ever had -- and we've had a lot. We actually look forward to Monday dinners -- no cooking and awesome pizza. We've also had dinners inside which is even nicer with their expansion and every now and then a cannoli makes it's way home with us. Nice family people, great staff, great food and we have never been disappointed. You should give it a try and see for yourself." "Great food at a great price. Low key pizza joint with terrific pizza and dinners. Nothing fancy just delicious. Thin crust pizzas with many toppings to choose and some specialty pies...all are very good. Eggplant Rollatini and lasagna are great and priced right."